Add ground pork and cook until pale and uniform in color. 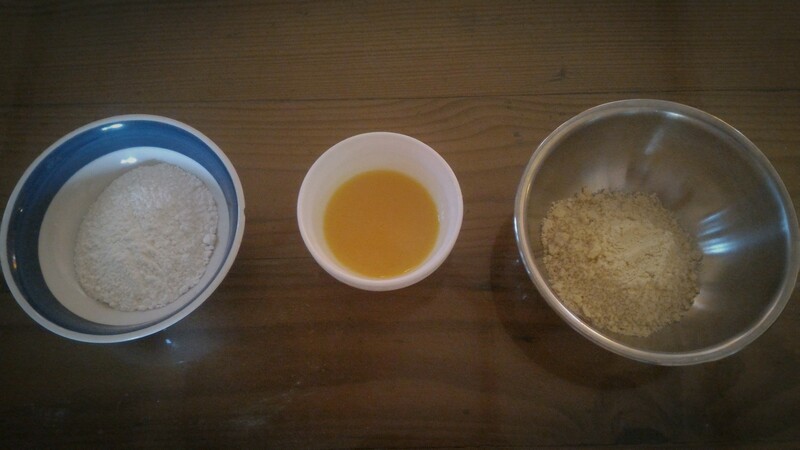 Continue to mix until it’s slightly brown on all sides. Set aside and let cool while you prepare the potatoes. Boil potatoes until they’re soft to mash. In a bowl, mash potatoes while they’re hot. Mix in a little salt and pepper to taste. Mix ground pork and mashed potato in a large bowl. Form them into balls with your hand. 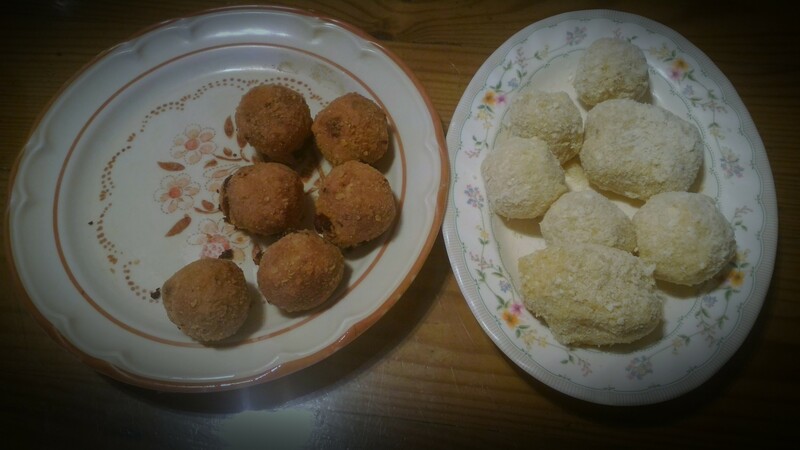 I used a tablespoon of mixture for each korokke ball. 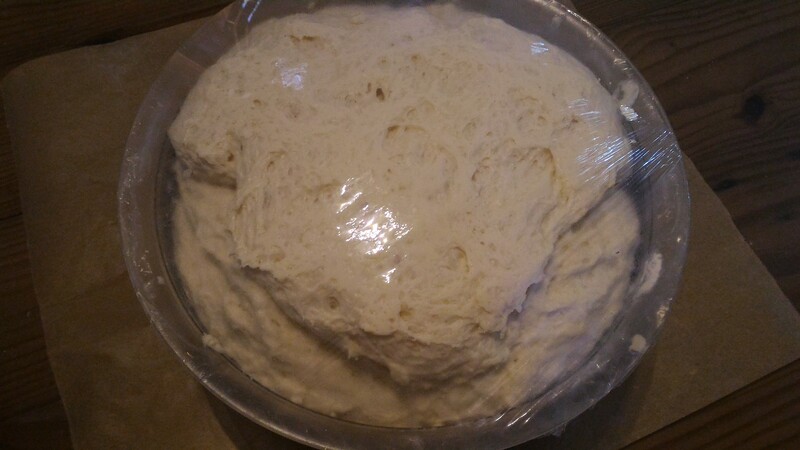 Coat the balls in flour then cool them in the fridge for about half an hour. 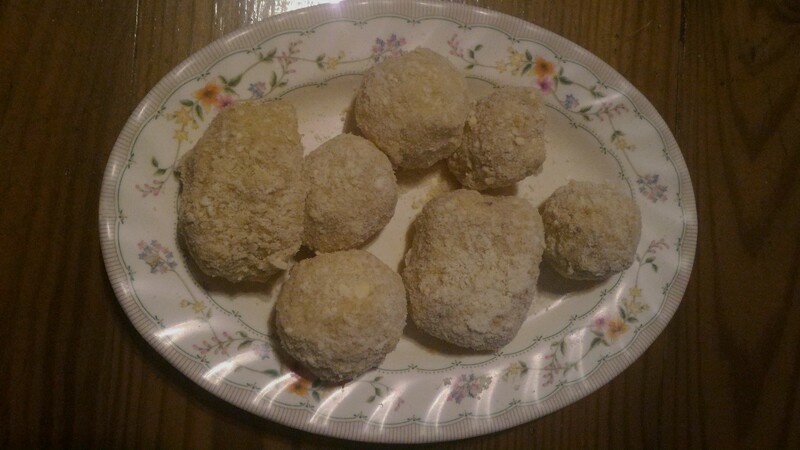 Coat the refrigerated balls with egg then coat them with bread crumbs. Fry the korokke balls until they’re golden brown. Slice cabbage and carrots into thin strips. In a hot pan, add olive (or any cooking) oil and butter. Sauté onions for about a minute (you want them to still be crunchy) then add cabbage and carrots. Season with a drop or two of sesame oil, sugar, salt, and pepper to taste. In a mixing bowl: add Worcestershire sauce, soy sauce, ketchup and crushed garlic. I wanted the sauce a little bit thick (like what they serve in Tokyo Tokyo) so I put cornstarch. TIP: When thickening sauces, dissolve cornstarch first with just enough water before adding to the mixture so you’ll get rid of lumps easily. Boil the mixture on low heat with continuous mixing. Once the mixture starts boiling, remove from heat. Place a seaweed mat on a bamboo mat (sticks parallel to you) with the shiny face down. Spread 2 tbsps of rice evenly on the seaweed mat. Take one side of the bamboo mat, lift it and roll tightly. Slice the rice roll using a damp knife.